Our arms were aching all over and we were all wet. We just came ashore from the raging waters of Tibiao River, riding kayaks, flipping over, swimming back to our kayaks and doing everything all over again. It was the last day of our Antique tour and a giant metal cauldron filled with water and fired from below was waiting for us on our return. Our day started at the Zipline Inn. 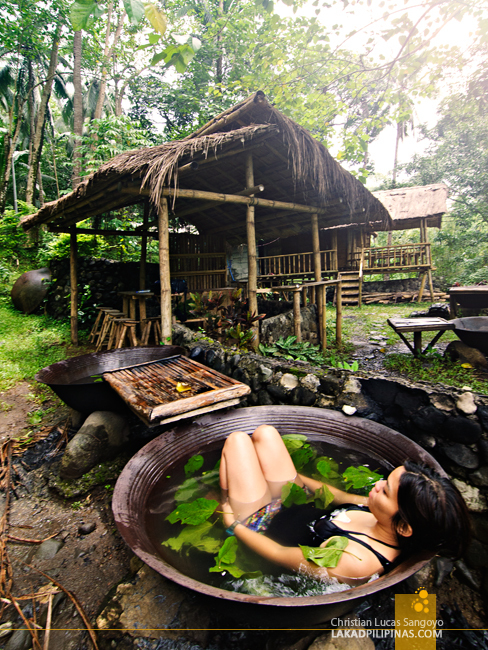 From there, we took a quick van ride to the nearby Kayak Inn where Tribal Adventures offers kayak eco-adventure rides at the adjacent Tibiao River. 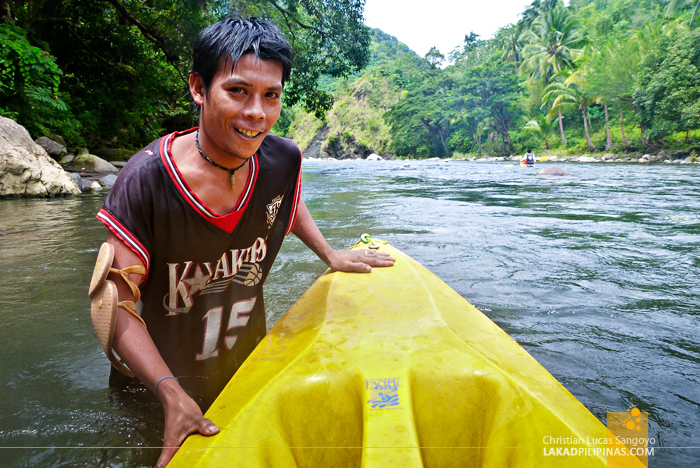 After gearing up with helmets and life jackets, we chose specific paddles that felt comfortable on our hands. 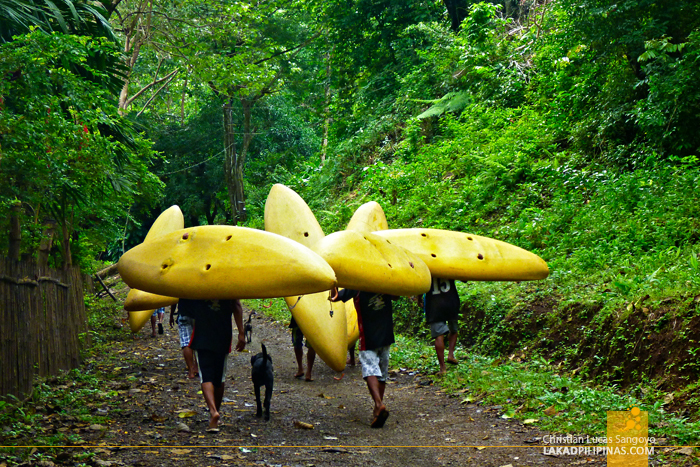 And off we went to the river with our guides hefting each of our kayaks on their heads like it was nothing. 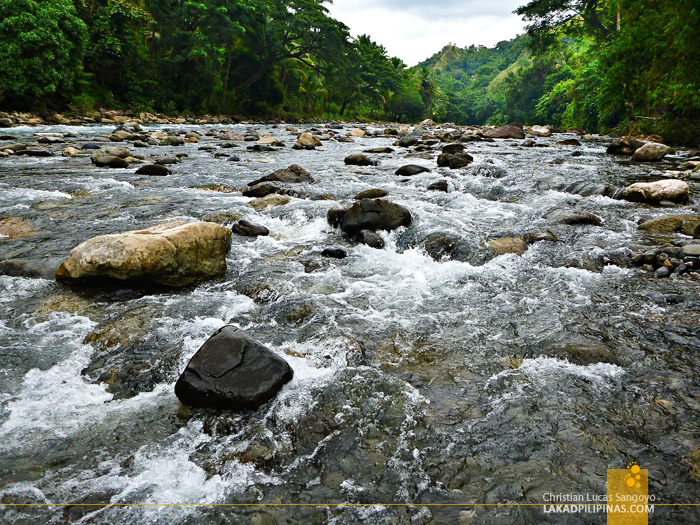 Tibiao River looked calm that day. It hasn’t rained that much in the past few days so the rapids weren’t as wild as during the peak of rainy months. The whitewater course runs for three kilometers with varying stages of difficulty. The easiest, Grade 1, is for calm waters where kayakers can first practice on the basics of paddling and maneuvering. Grade 2 is where you start to rock and roll—passing through turbulent waters and stone outcrops. Grade 3 and 4 is where you really start to buckle your seatbelt—this one’s for the pros. Here you pass through unpredictable waters, really huge boulders, and raging rapids. But worry not, there are guides assigned to each kayaks who will assist you in case you flip over. These guides are so amazing, they literally run through the sides of the river as you go paddling along. They look over you and splash through the waters if they sense that you need even just a wee bit of help. 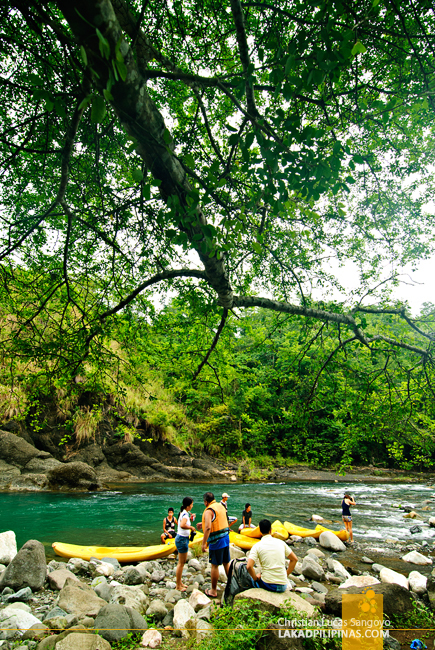 After some minutes of practicing on the calmer parts of Tibiao River, we were all ready to take the challenge. 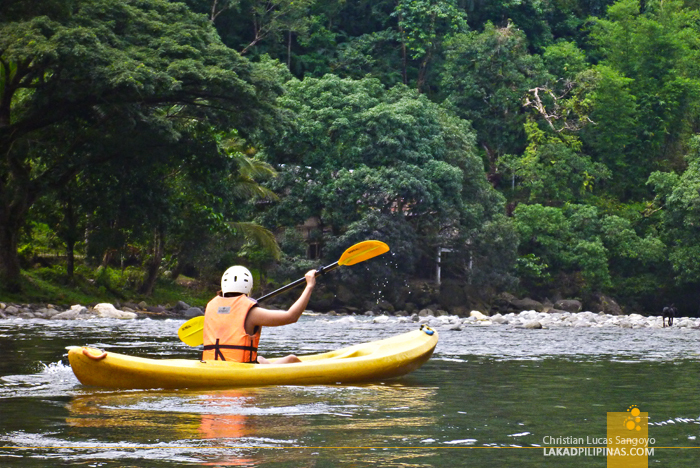 It wasn’t the first time I tried riding through rapids, having done whitewater rafting in Kalinga some years back, but it was my first time to ride a kayak. I was filled with both excitement and trepidation as my kayak was launched towards the rapids. But it wasn’t as hard as I expected it to be. 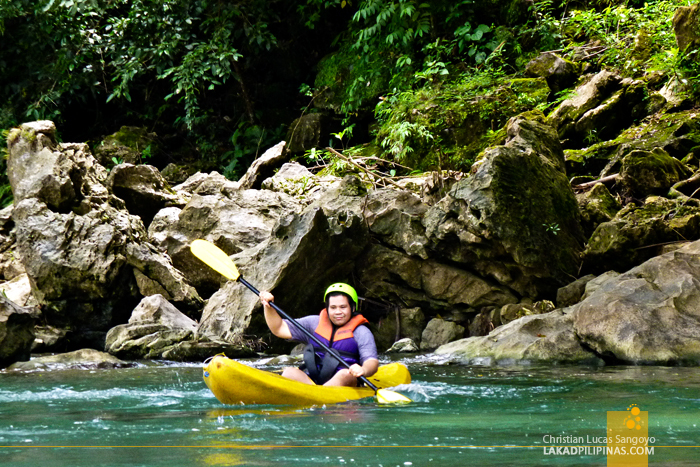 The calm parts of Tibiao River were no problem at all and the choppier parts are manageable. Finding the correct balance and knowing when to paddle is the key to not flipping over. I guess my not-so-light weight also added to the stability of my kayak as I didn’t fall over, even once. The view was scenic and the ride was very exciting but it ended much too soon for me. I wanted more! But alas, we didn’t have time for more. Our group didn’t even bother drying up. We were told that a hot bath awaited us back at the Kayak Inn. 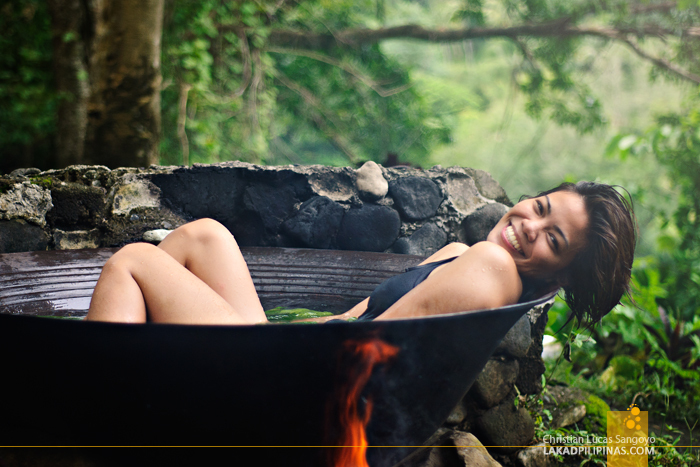 What we didn’t know that the said hot bath was in the form of a fired cauldron! These enormous cauldrons, once used for cooking muscovado sugar, were now gonna be used for us—and hopefully not for cooking! A fire was lit below and the water started to simmer along with some leaves and what-nots. Surprisingly no one was hesitant to dip into the waters at all, each one choosing his and her own spot at the lawn of Kayak Inn. 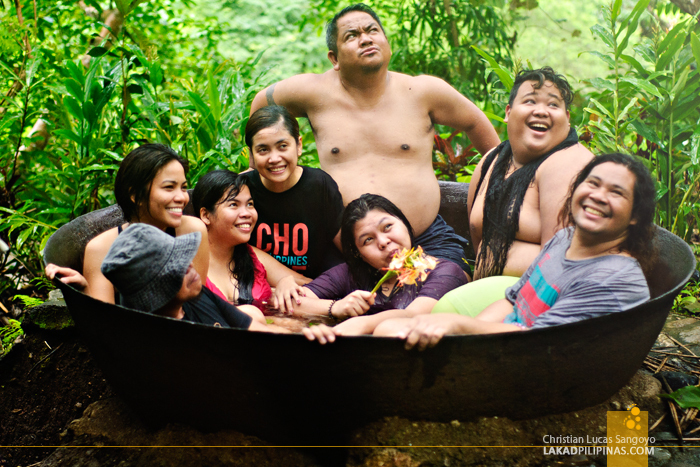 After being dunked into the cold waters of Tibiao River, having a warm dip at the Kawa Hot Bath was the perfectly wet way to end our tour of the Antique Province. Kayaking and soaking in a hot cauldron, that's how you spell fun! But I am more curious about the cauldron of course, I want to experience it. haha love our group pic!!! I misssss!!! i love the kawa group pic. 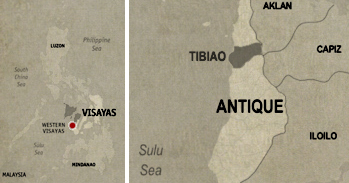 pero bakit wala ka dyan?